You might be wondering, why there are pictures of a wild cat on this site. Well, here’s the scoop. 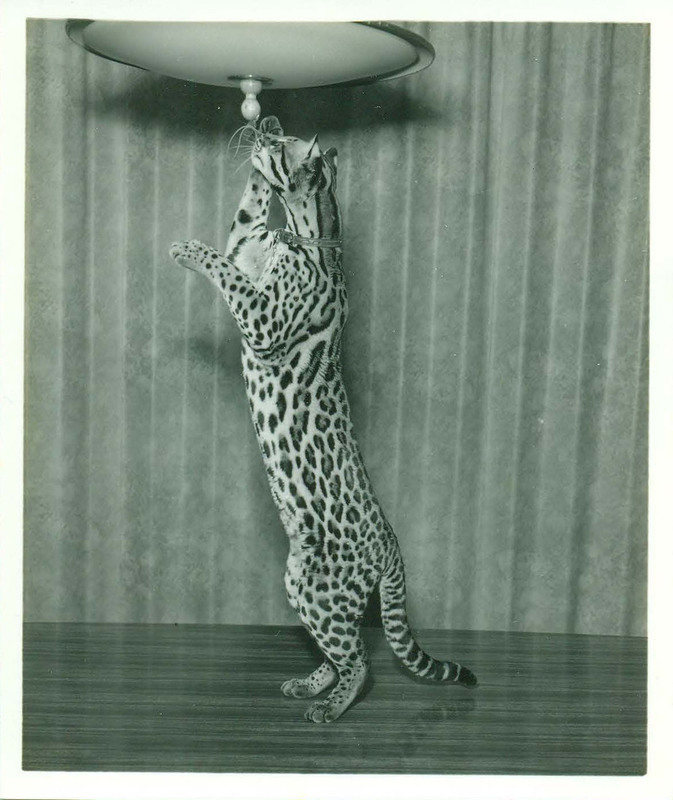 This beautiful creature was my Grandma Maria’s pet ocelot she affectionately called Kitty. 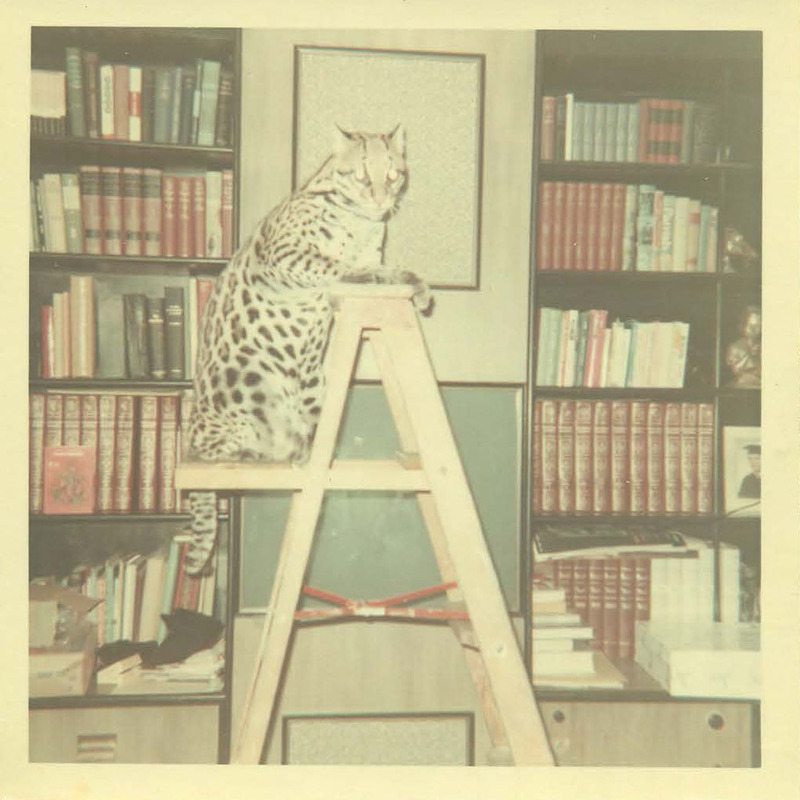 Although ocelots are indigenous to South and Central America, Kitty lived comfortably in South Philadelphia for 18 years. 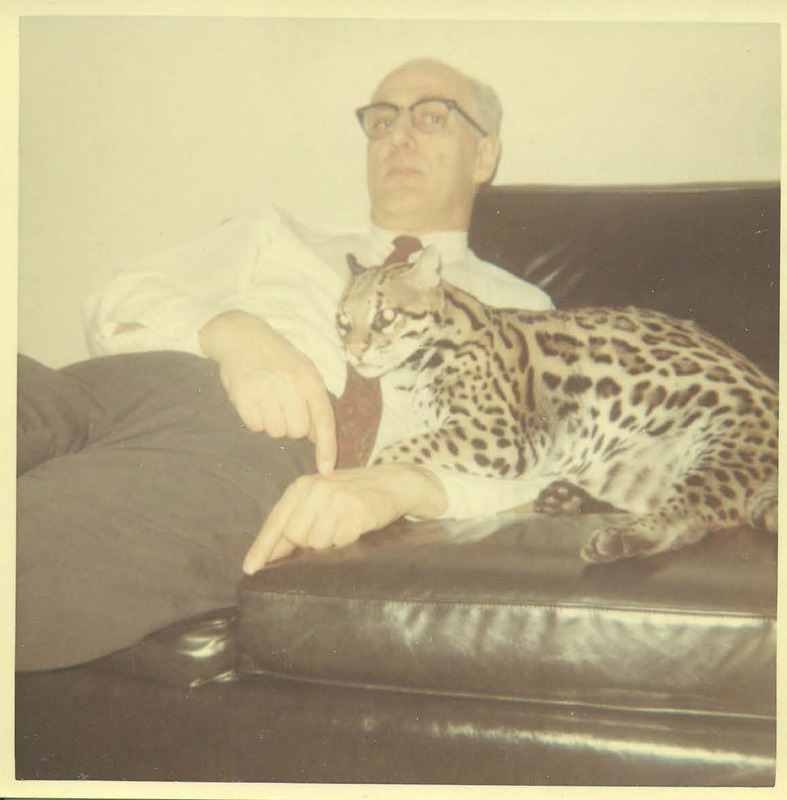 You know the old saying “pets take on the personality of their owners,” well, Kitty and my grandmother shared many traits. They were both fiercely loyal, strong, beautiful and sometimes dangerous. 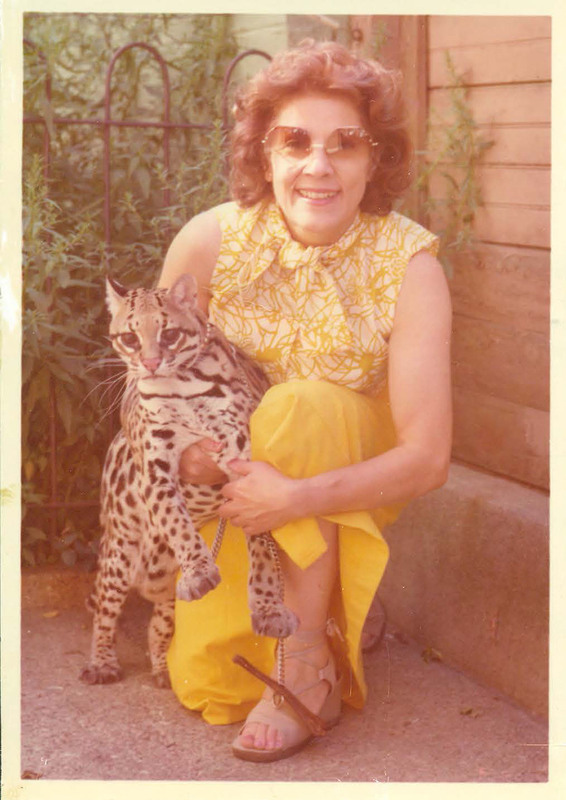 Kitty turned South Philadelphia into an urban jungle, and could be seen on many days sunning herself in the store window of the All-in-One Studio, my grandparents' photography business. People would press their noses to the glass in shock when they realized they weren't looking at a typical house cat. From the living room you could hear constant tapping on the glass to get Kitty's attention. It was hard not to stare, this cat was exotic. Kitty arrived to Philadelphia no larger than the palm of a hand and grew to a healthy 30 pounds. She was intimidating and scared off a few buglers in her time and had a menacing presence when boyfriends would pick up my mother and aunt for dates. I was never allowed in the same room with Kitty in fear she might maul me. Kitty loved to eat leather gloves, fur collars and raw meat especially if it was left on a kitchen counter top. She also loved the ocean and on trips to the Jersey shore where my grandmother would walk Kitty on a leash along the beach. Yes, it was quite a sight. Kitty was a fascinating member of the family, so of course, she’s included in my memoir. Her image on this website is a tribute to my Grandma Maria’s love for this cat.